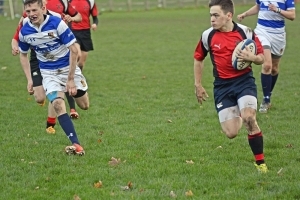 On Wednesday afternoon Linlithgow Academy 1st XV (u18) played in the second round of the Scottish Schools’ Cup, having won away to Breadalbane Academy in the first round. The home team could only muster 15 players and having no available subs was a competitive disadvantage, as the visitors were able to call on their bench during the second half. 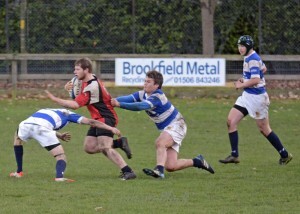 The match was keenly contested with neither side willing to give an inch. 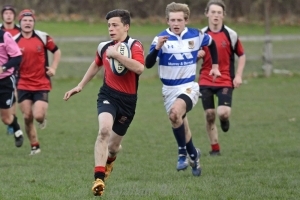 Both schools fielded young sides, with fifth year pupils in the majority. 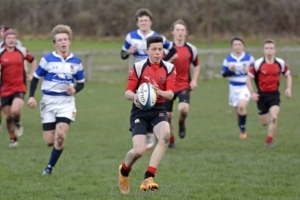 In the end, Galashiels Academy ran out 24-5 winners, scoring 3 tries to 1 over the match. 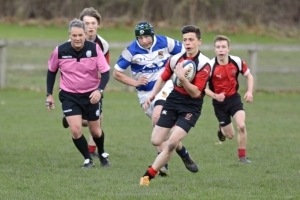 Galashiels Academy started the stronger and only solid defence from the Reds kept the scoring down to two tries in the opening 25 minutes. The Reds try came late in the second half following a period of possession and pressure from the home side. Winning a ball on the visitor’s 10 metre line, the ball was passed out wide to Fraser Dori-Muir, whose pace and angle of run sliced the Gala defence wide open. 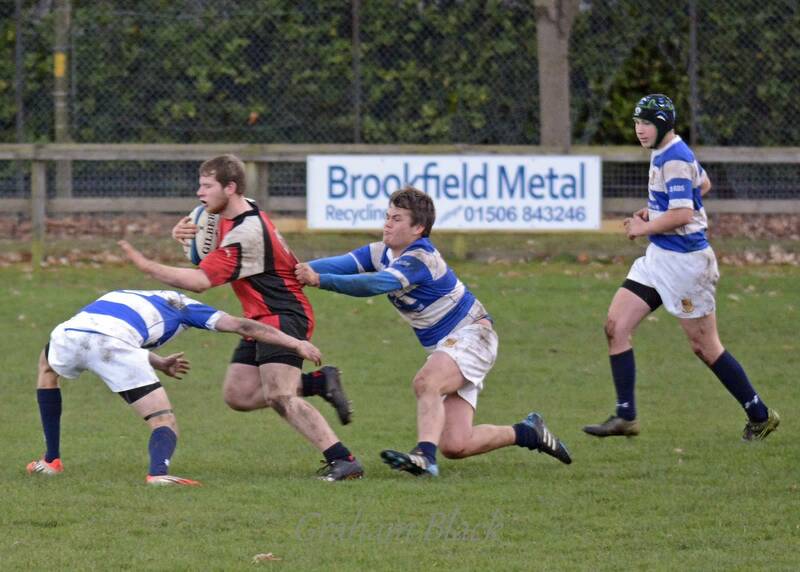 Kyle Forsyth was up in support to take the scoring pass, as Fraser was closed down by the full back, and he ran in from 20 metres out to score an unconverted try in the corner. 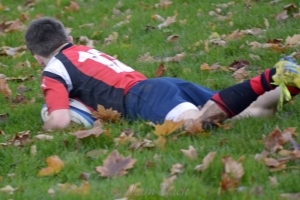 The Reds put Gala under considerable pressure in the second half, more or less camped on their line for a long period, but the visitors held on and their third try, late in the game, sealed the victory. A thoroughly entertaining match from which both sides emerged with much credit.